The exquisite 2018 Texas Gold Round pays homage to the iconic symbols of Texas and one of the most hallowed landmarks in the Lone Star State — the Texas State Capitol. 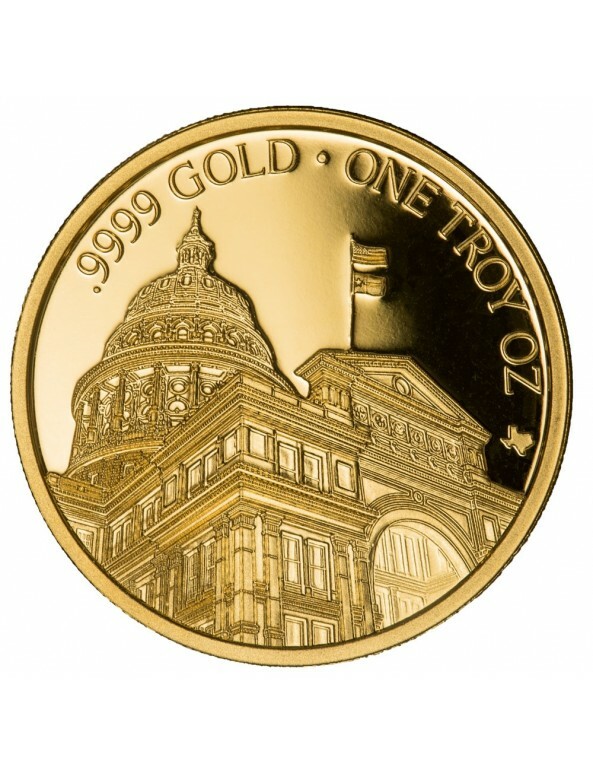 The towering Capitol building proudly dominates the reverse of the Texas Gold Round, rising up on the face of the round echoing the splendor of the building’s architecture. 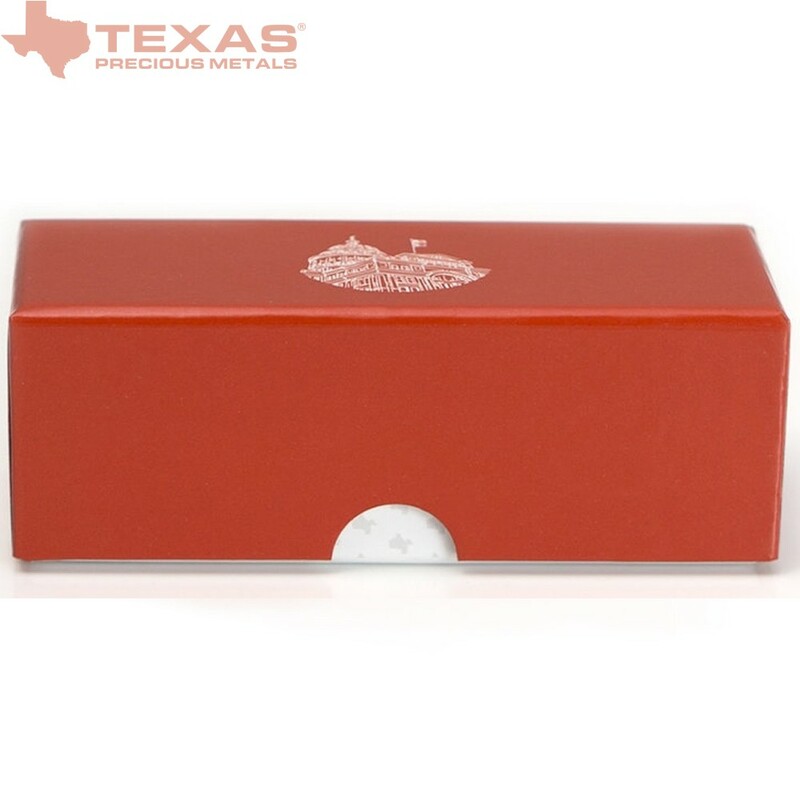 The Capitol's south facade is prominently displayed in the foreground of the round, with the American and Texan flags fluttering boldly above the entrance to the building. 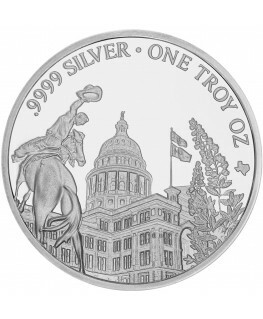 The Capitol dome juts augustly into the background above the facade with the original sixteen-foot tall Goddess of Liberty statue, installed in 1888, visible at the peak of the structure. 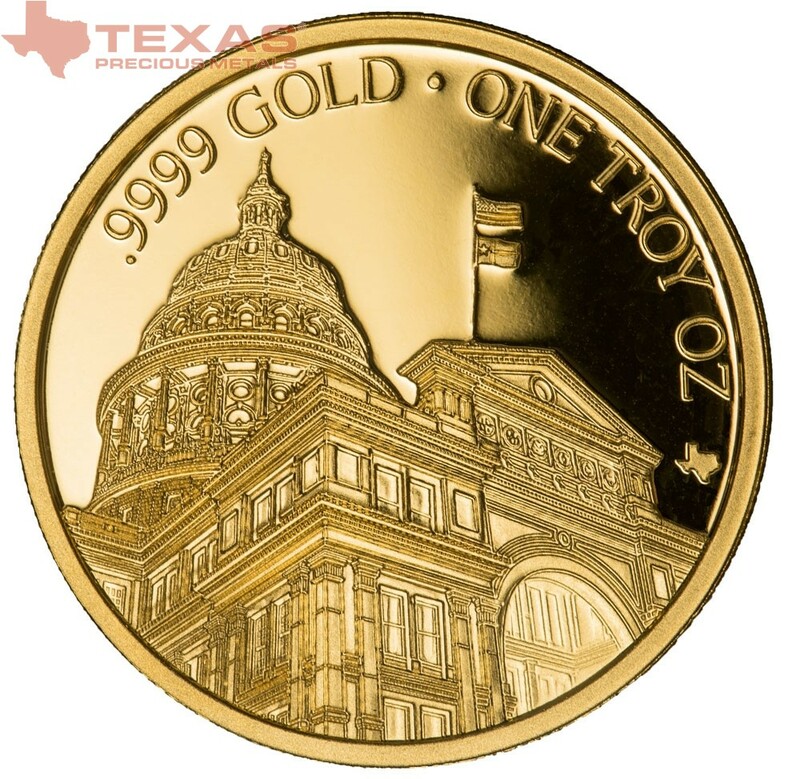 The Texas Gold Round’s specifications – “.9999 Gold • One Troy Oz” – are engraved in an arch over the Capitol. 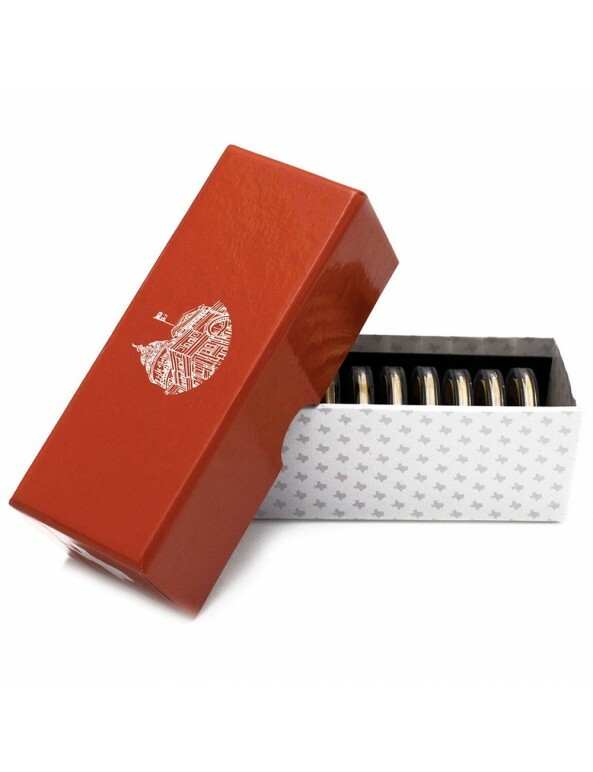 The weight and purity of the round are guaranteed. 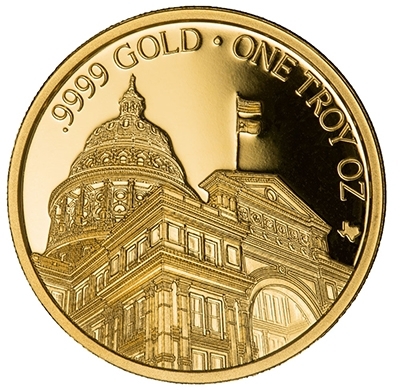 The trademarked silhouette of Texas mint mark, the official mint mark for the Texas Mint, is visible to the right of the Capitol building. 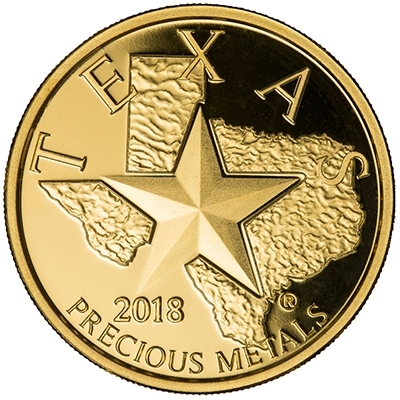 The obverse of the high-quality mint strike Texas Gold Round features Texas’ iconic lone star in the foreground. 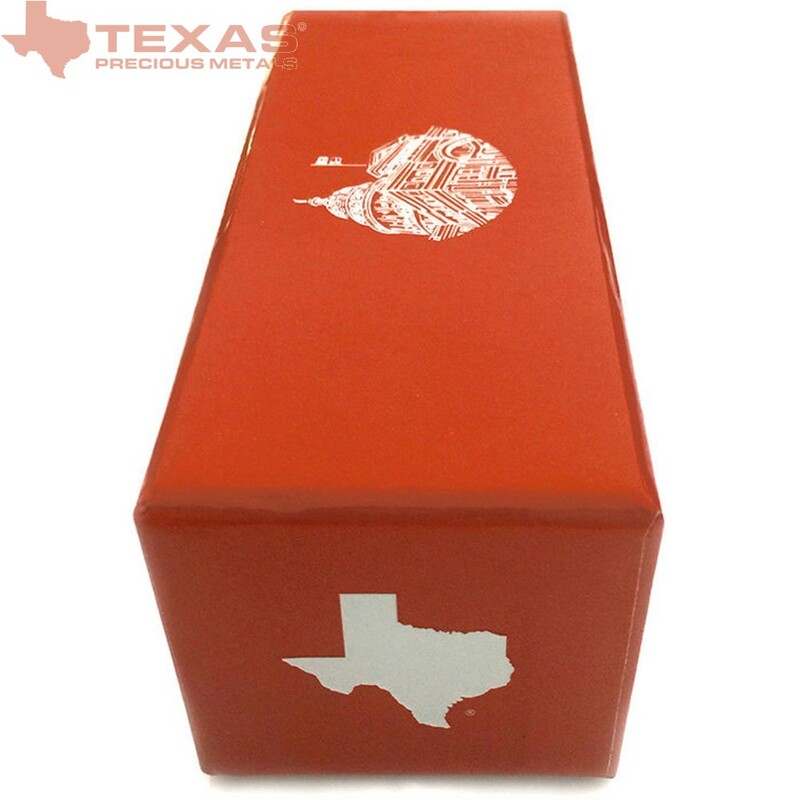 The smooth engraving of the star is framed by a textured topographical outline of the state of Texas. 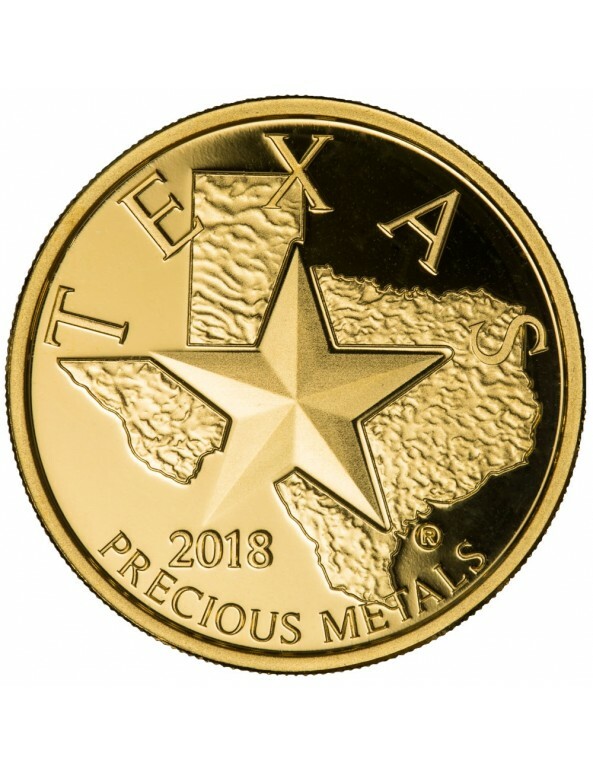 “TEXAS” arches proudly over the top of the round’s obverse in large capital letters, with “Precious Metals” presented inversely along the opposite side. 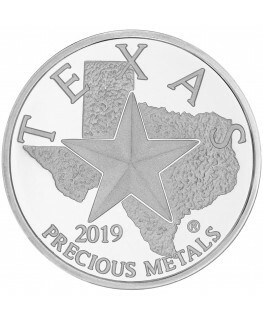 The round’s mintage year is engraved in the bottom left of the round, just southwest of what would be the Rio Grande bordering Texas and Mexico. 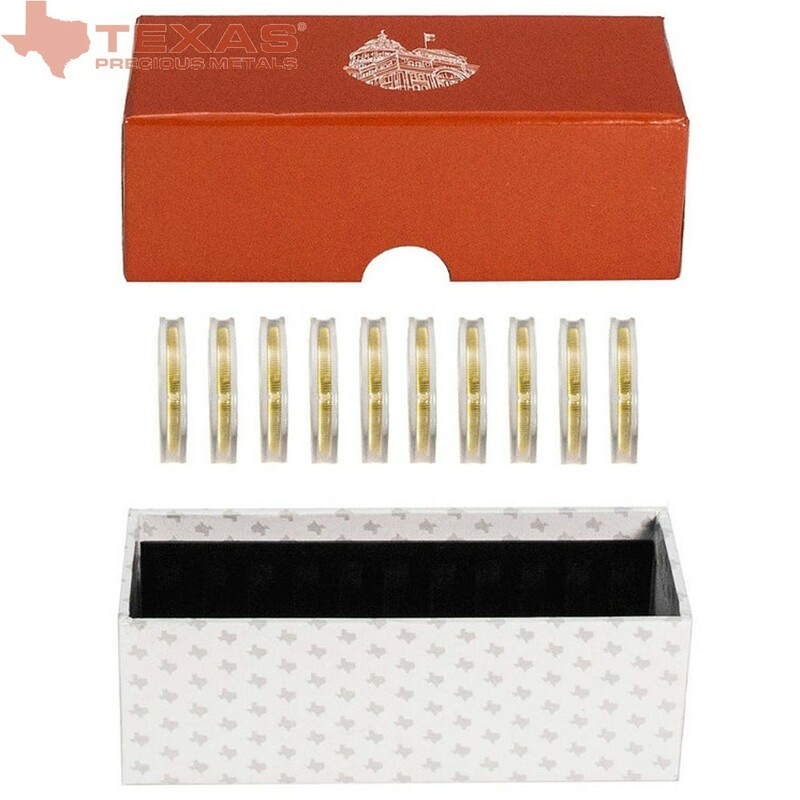 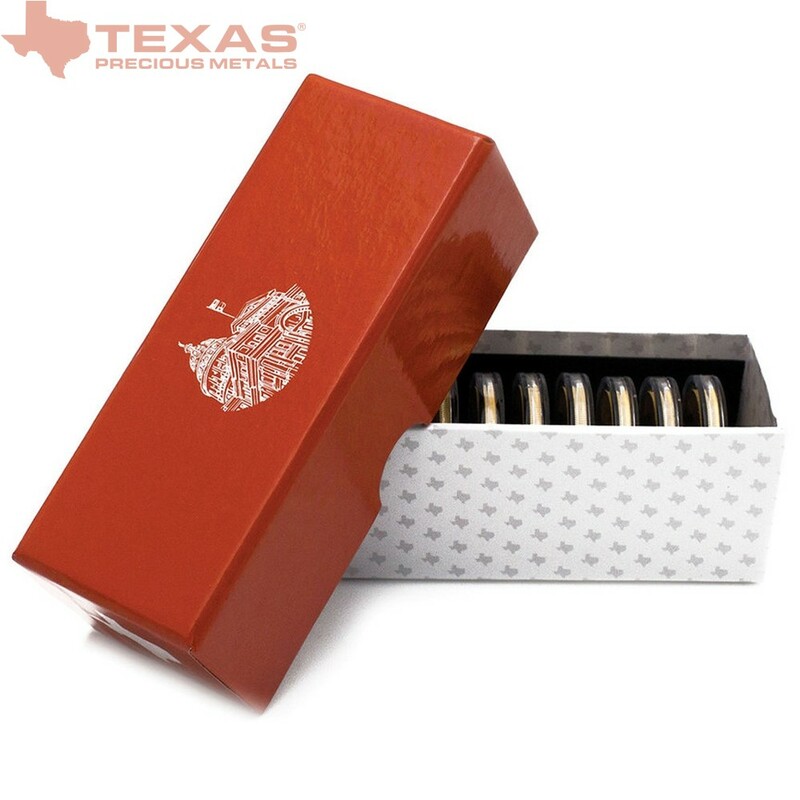 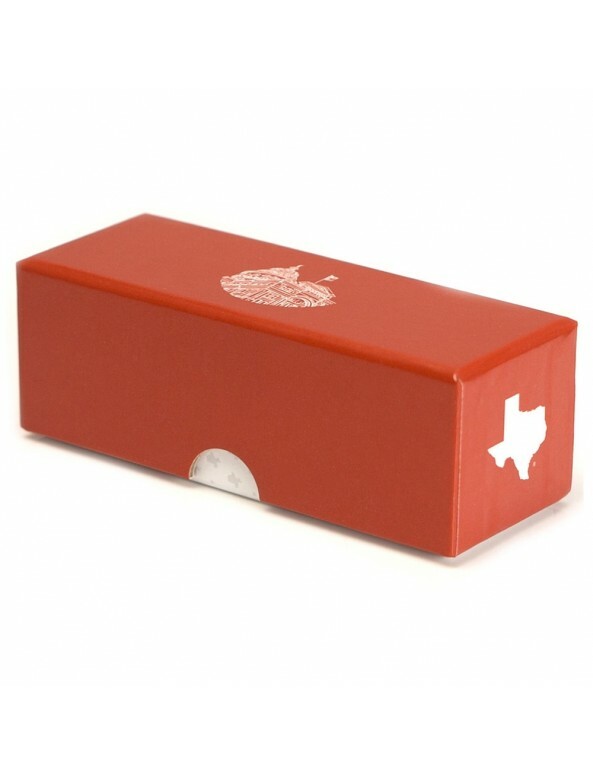 If purchased in a set of 10, the Texas Gold Rounds are packaged in a glossy orange chipboard box with velour flocked interior slots and vacuum-sealed with a holographic tamper-proof seal. 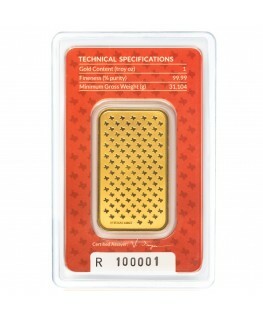 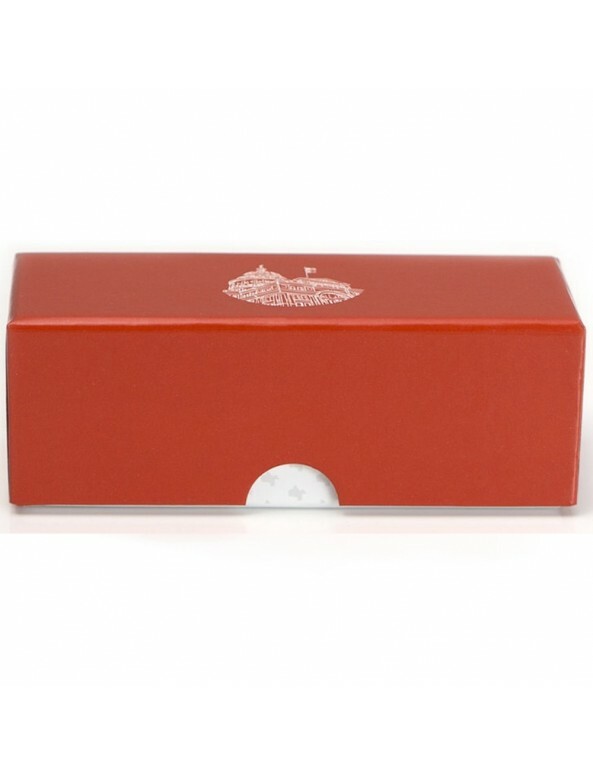 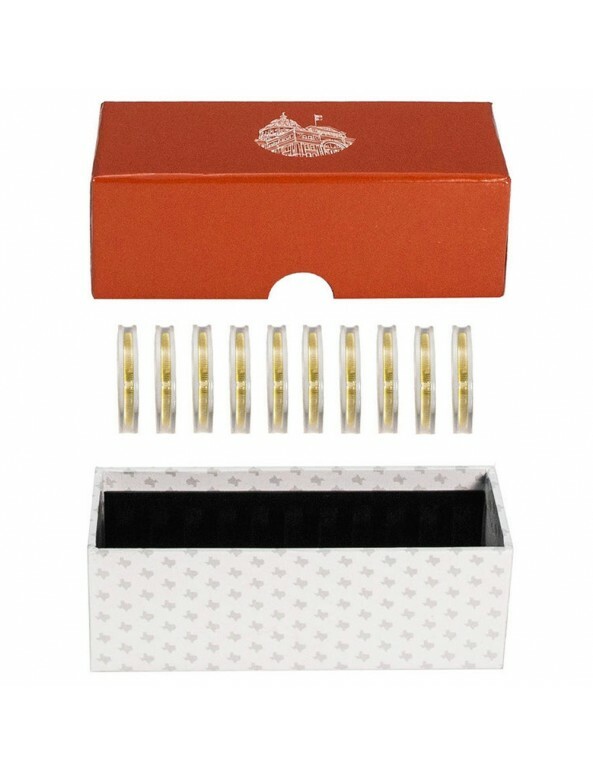 Each gold round in the case is enclosed in an individual capsule holder to preserve its pristine condition. 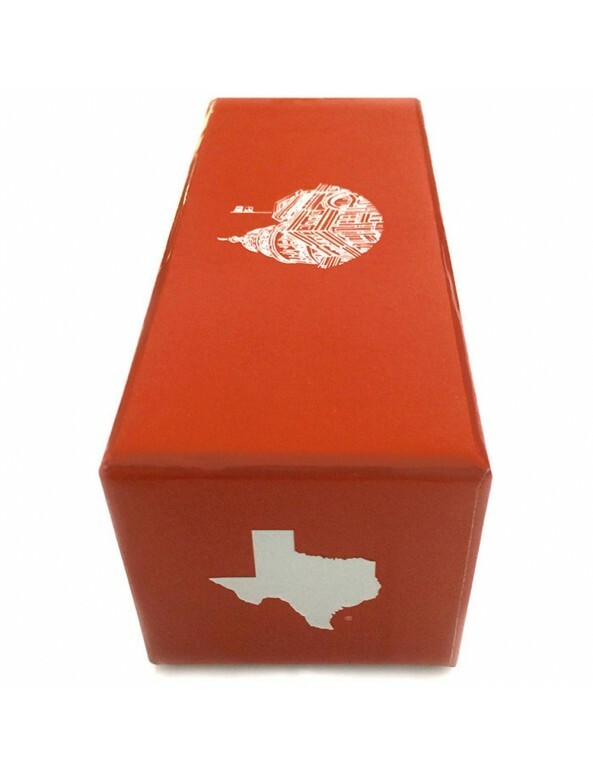 The motif of the round is repeated on the lid of the rectangular box, with the image of the Capitol displayed on the center and the geographic outline of Texas appearing in white on each end. 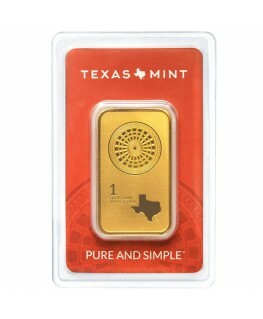 The Texas Gold Round is IRA eligible. 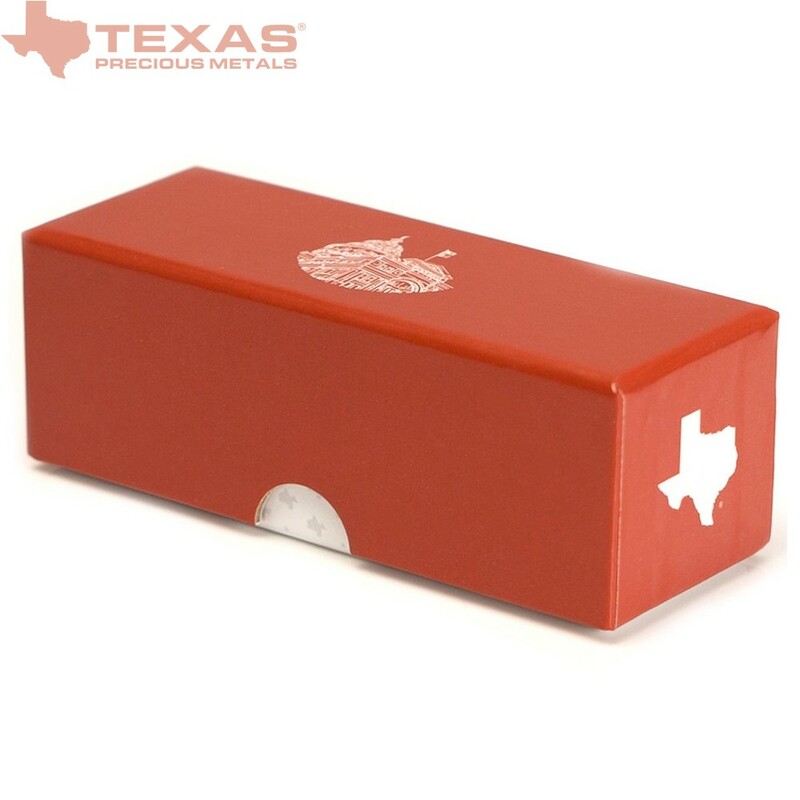 The Texas Gold Round is 30 mm in diameter and 2.79 mm thick.